This is my girl and her good friend Maddie. 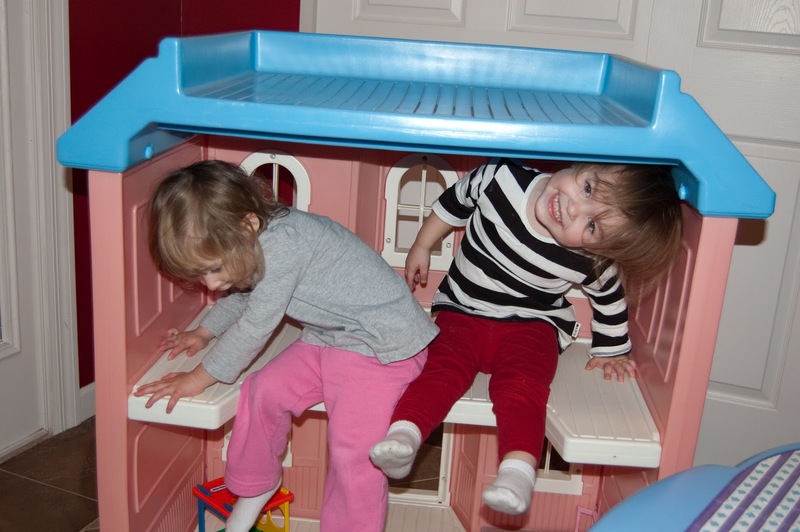 They are super pleased with themselves cause they can fit in the dollhouse. 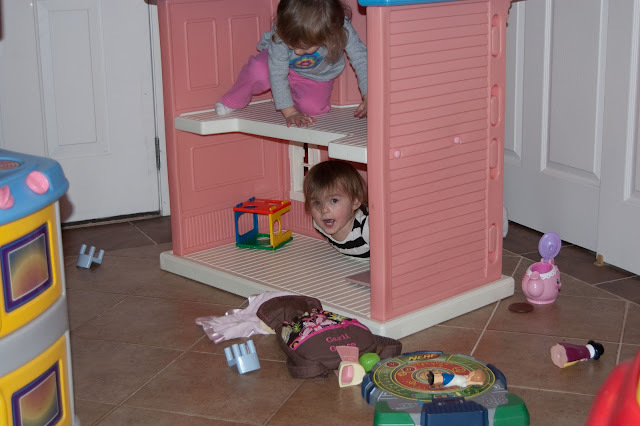 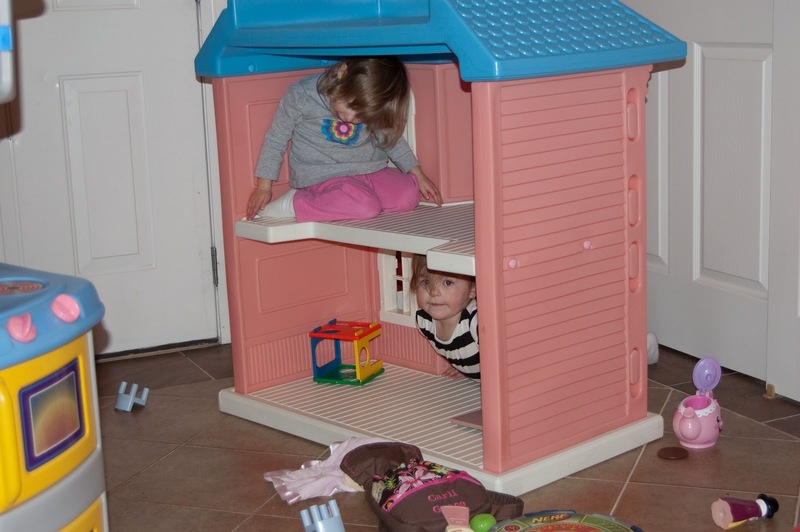 This is my girl trying to follow her good, skinny friend Maddie through the door on the dollhouse. 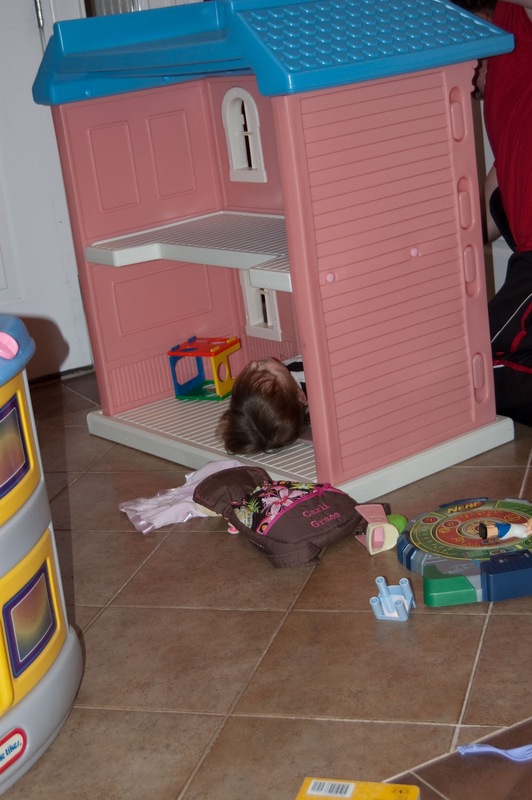 This is my girl screaming for help because she is stuck in the door of the dollhouse. This is my girl being rescued by her Daddy...her own personal fire department.